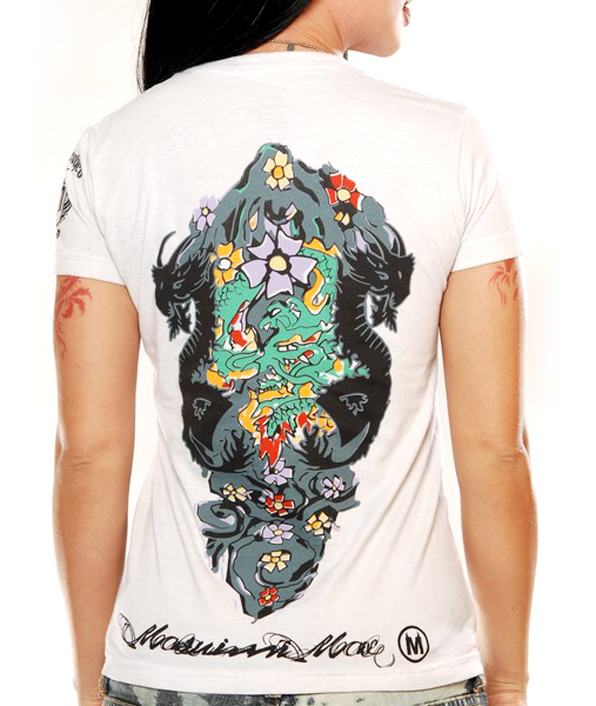 Women's Masuimi Max White Dragon Shirt [DW05AW] For the first time, legendary pinup and fetish model Masuimi Max's arm and back tattoo pieces commemorated on a shirt in exact replica color and detail. Sheer soft cotton fitted shirt antique stain washed and grinded. Available in dirty white and black. Quantities are limited!